Overview: Four couples attempt an upward trending domestic model wherein the female serves as the financial breadwinner. 2015. Politics: There is something astonishingly apolitical about director Izzy Chan’s first documentary. The Big Flip starts with a statistically observed social phenomena: Currently, over 40% of American wives out-earn their husbands and the existing income gap is expected to be wholly flipped by 2028. From there, we know this is a movie about a changing social model, a trending of the current financial family structure away from the established status quo. Such a topic, presented to any mixed company, would certainly elicit conversation, likely opinionated or impassioned. But after establishing topic, Chan’s film offers only an implied promotion for her side of the potential debate; she proves to be an author of determined artistic reserve, in search of a more intimate and personable examination. And so, The Big Flip is a movie that is not so much about a movement as it is about people participating within a movement, which in this case proves to be a much more valuable perspective. Portraiture: When I say that The Big Flip is about people, I should articulate that it is a movie carefully about people. Photographers Paige Green and Kent Kessinger both have backgrounds in portraiture, and their ability to frame an accessible spirited-ness and communicate distinct identity from these four families — both in video and still shots — is highly cooperative with Chan’s narrative purpose. The Big Flip documents four female breadwinners from all over America (Seattle, Los Angeles, D.C., and Portland). The families are ethnically, socially, and psychologically diverse. So too are their motivations for and attitudes toward the progressive model that they have adopted. Though Chan splits screentime pretty evenly, with the help of Green and Kessinger, she manages to capture the best of each character’s personality; the individual units never bleed together. People: Chan even provides an even-handed treatment of her supporting statistics. In the middle of her film, a title card informs us that female breadwinners are less happy than those in more traditional situations. Further statistics reveal that divorce rates for such couples are higher and, generally, the female breadwinner is an unpopular model amongst the American population, with a vast majority of those surveyed stating that the father should be the financier and that it is more important for the mother to be home and accessible to her children. The subjects of this film carry constant concern about outside perception. It is both admitted and implied, both shown and told. When the families are hit with external adversity — career obstacles, family deaths, the kind of misfortune with which all can connect — the film observes without being invasive. The story is captured by facial expressions and quiet stretches. Where others might have intruded with a line of questioning, The Big Flip just watches. Sympathetic narratives manifest without manipulative melodrama. Purpose: Documentaries that actively and outwardly seek to prove or support a singular side of any issue rarely add value to the real-life conversation around that issue; those who disagree will dismiss it and those who already agree will cite it as support when speaking to willfully deaf ears. Chan’s film, by allowing us to view this cultural change through those experiencing it firsthand, works as a reminder that the Big Flip isn’t an issue. It’s a matter of fact. Being happy is often hard. Maintaining a healthy family is never without work. Within this post-recession environment and shifting economic landscape, these statements are more true than ever. Chan’s contention isn’t that families headed by female breadwinners are any more or less equipped to deal with such hardship, or better suited to raise children, or even more capable of surviving as a single, economically-viable unit in a society in which divorce rates are finally starting to stabilize. Family and marriage can and will always be difficult, no matter the particulars of the structure. And if we think of it in terms of people, the way that The Big Flip urges and teaches us to think of it, it becomes much easier to understand. All families do what they must to make things work, and all people should always have everyone’s support. Note: I was given the opportunity to view/review this film in a mid-production viewing. 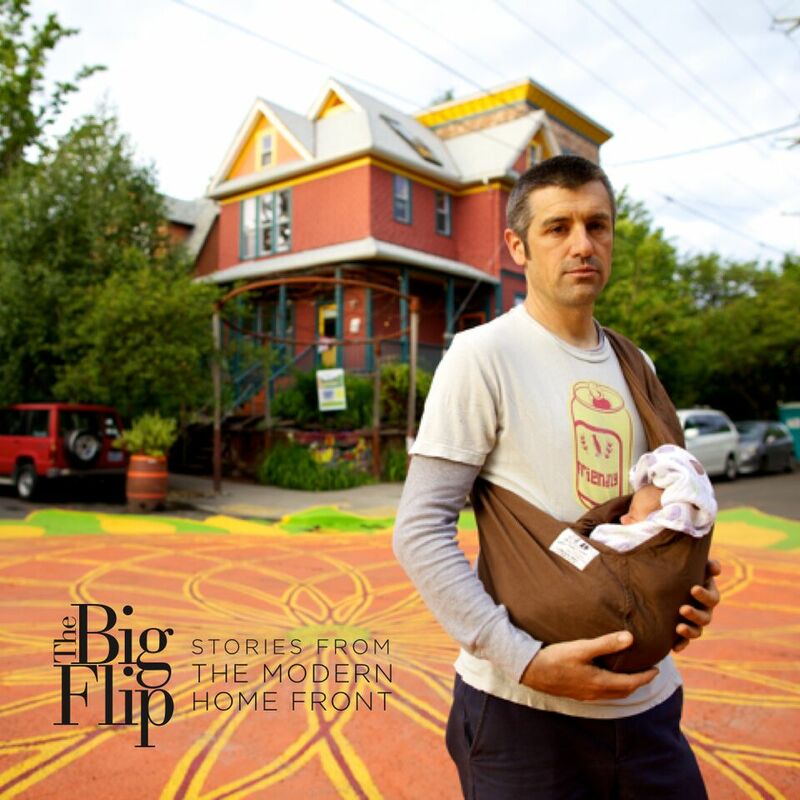 If you would like to support the final steps of production of The Big Flip– Stories From The Modern Homefront, you can do so here.